The preliminary power-sharing deal will be followed by a final one on August 5 to end the country’s civil war. 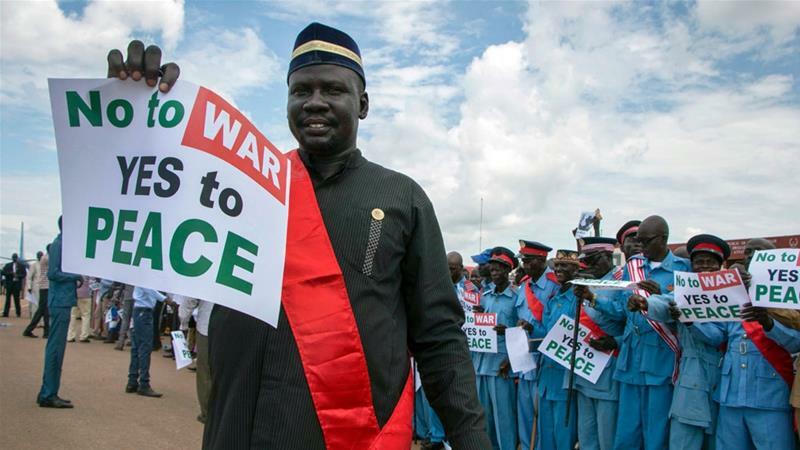 South Sudan’s warring sides have signed a preliminary power-sharing deal once again, which will see rebel leader Riek Machar reinstated as first vice president. The deal sealed on Wednesday should be followed by a final one on August 5, Sudan’s Foreign Minister Al-Dierdiry Ahmed said at the signing ceremony in Khartoum. Wednesday’s agreement aims at ending the country’s civil war, the Sudanese minister said. “The power-sharing document has been signed and it addresses all pending issues during the transitional term,” said Ahmed as he announced the details of the pact. “Salva Kiir will continue as president of South Sudan and Riek Machar will be the first vice president,” he said. “The negotiations on this will continue until we have an agreement,” he said. Some opposition groups had refused to sign Wednesday’s document but discussions with them were also continuing, he said.